rithvi Haldea, Chairman, Prime Database and Deena Mehta, MD, Asit C Mehta Investments are very upbeat on the NSE IPO. Haldea says 2016 was a good year for IPOs and 2017 looks even more promising. The National Stock Exchange (NSE) is gearing for a big bang IPO in 2017. The Draft Red Herring Prospectus (DRHP) has been filed with Sebi well ahead of the exchange's own deadline of January 31, 2017. The offer may give the exchange a valuation of Rs 50,000-55,000 crore, sources said, adding that the initial public offering (IPO) itself could be worth about Rs 10,000 crore. Discussing the outlook for new listings in 2017, Prithvi Haldea, Chairman, Prime Database and Deena Mehta, MD, Asit C Mehta Investments are very upbeat on the NSE IPO. Haldea says 2016 was a good year for IPOs and 2017 looks even more promising. Both believe there is huge potential for exchanges and markets to grow over the next few years. According to Haldea, with digitisation, more transparency coming into the markets, it will boost the confidence of the domestic investor which is yet a small base. One will see higher participation from them. Experts discuss: Should govt conduct OFS on Saturdays? Mehta thinks because of demonetisation lot of cash has come into the system which could find its way into financial markets. Moreover, with the lower interest rates for fixed deposits and government bonds etc people will have no option but to invest in financial markets to get good returns. The NSE IPO per se is fully priced at the current levels and one is not sure how much value it may offer investors but it is unlikely to deter investor interest in it, says Mehta. NSE being a top performing exchange and trades huge volumes and so controversies surrounding the IPO like the forensic audit, exit of MD and CEO, issues of corporate governance etc won’t have a major impact. Amid preparations for the share sale, NSE saw the surprise exit of its Managing Director and CEO Chitra Ramkrishna earlier this month. 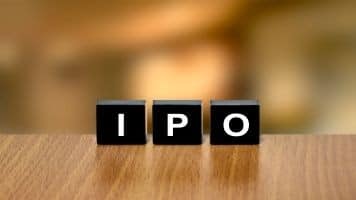 It has appointed Citigroup, Morgan Stanley, JM Financial Institutional Securities and Kotak Mahindra Capital Company to manage its upcoming IPO. Below is the verbatim transcript of Prithvi Haldea & Deena Mehta's interview to Latha Venkatesh & Sonia Shenoy on CNBC-TV18. Latha: Do you expect a lot of appetite for the Nation Stock Exchange's (NSE) initial public offering (IPO), the first major exchange that is going to make its debut? Haldea: I do not comment on specific company or IPO but on macro level 2016 was a great year for IPOs although we are talking about 27 IPOs and about Rs 27,000 crore. It still represented a great turnaround from the earlier three-four years when the market was almost dead. However, 2017 looks to be more promising because there are a lot of new entrants as far as spaces are concerned. Latha: My reason for asking you for the interest in IPO is more because of what has been revealed and which you would have noticed that there were allegations of preferential access given to some brokers and that is what the audit by an independent agency appears to have revealed - that we got to read in the Draft Red Herring Prospectus (DRHP). Given that do you think this IPO is going to get the kind of reception one thought it will get? Haldea: Until and unless there is some kind of an action from the regulatory body which then puts any market player or entity or an exchange into a spot where its long-term sustenance comes under doubt. However, every company would have a lot of negatives, when you read through the prospectus and risk factors; there are almost cases in every single IPO. Sonia: NSE's listing has been hit with many hurdles whether accusations of corporate governance breaching or even Chitra Ramkrishna's resignation and now the forensic audit that was done. Do you think that could in anyway cast a shadow over the IPO? Mehta: I would say that people are very positive about the stock market business as such which would lend a lot of interest so far as this IPO is concerned because the demonetisation impact that we talk about, a lot of cash has come into the system which could be deployed in financial assets. We are also talking of growth and other things happening after this initial dip which is there. So net-net people are very positive about the stock market picking up substantially and now bonds and other things also have started trading very heavily on the exchanges. So everything put together the story for stock market is very positive and the future is what always the investors look at and that could be a major positive factor so far as the market is concerned. However, the dominance which is there for NSE, it is not going to disappear overnight and market tend to evolve around the top performing exchange which is there and as of now NSE is the top performing exchange. Therefore, I do not think that these controversies and other things would majorly bring down the volumes of NSE and so long as the volumes are there, there is going to be a lot of interest of people in this IPO listing. Latha: You think that exchanges in India especially big exchange like NSE still has a lot of growth prospects? Haldea: The financial market and capital market in particular are still - a very small population is currently invested. We keep talking about indulging the retail base which keeps talking about domestic institutional base to grow. We still keep talking about a lot of foreign money which should find place in India. So there is huge potential for the market to grow for financial savings to get converted into market savings and therefore given that fact and more digitisation, more transparency, more measures by the government which will bring in greater confidence in the market place, I think the space for financial market companies and capital market companies is quite assured in the sense that we are still talking about Rs 2-3 crore invested in the market place. The mutual fund industry has shown a huge amount of growth and that money ultimately gets invested into the market. So that is another positive signal. Insurance companies, one or two companies will be getting listed in 2017 and they also represent small money and therefore with all these sectors and the intermediary sectors set to grow further, the financial markets and capital markets scenario looks to be very promising. Sonia: Any thoughts on how the valuations of the NSE IPO are stacked up versus some other global listed exchanges. Currently it is valued at Rs 40,000 crore marketcap which would signify almost 30 times projected earnings for next year, for FY18. Any thoughts on whether there is enough left on the table for investors? Mehta: Talking as an investor I would say that this issue appears to be fully priced and I do not know how much upside would be left for the investors to make money unless the market does very well and we see a huge upswing, which if it comes about then the valuation should do well but I would say it is fully priced at this level and even the other exchange is also priced at 50 PE. So it is a high kind of pricing but if we are looking at discounting the future, the future if it looks bright then the pricing is going to be higher but in the current balance sheet it looks like it is fully priced. Latha: What gave us this doubt is that just a few months back State Bank of India (SBI) sold off, at that time the per share value came at about Rs 4,500 and now it looks like, if you look at Rs 40,000 crore marketcap, the per share value or per share price comes to Rs 8,800, so there is quite a jump in few months, it does look therefore as richly valued, but I am going back to potential preferential access to some brokers. It is not a deal breaker. To be fair, on the side of the NSE you will have to say that it was the NSE's board itself which has brought this to the fore. It is an extremely high profile board and you cannot fault it at all - Ashok Chawla, Ravi Narain, Dinesh Kanabar, Anshula Kant of SBI, Mohandas Pai, Dharmistha Raval, Sunita Sharma of LIC Housing - it's an elegant and elite board but still potential preferential access to brokers sounds very big in terms of crime that exchange can commit. You don't think this is a deal breaker? Haldea: You are asking me a deal specific question and I generally do not make deal specific comments but as I said every company would have some negatives and unless the offense is of a kind which can derail the business activity, there is enlightenment of the board or the management, I think we still need to unravel some part of this entire episode and the fact that you mentioned that there is an eminent board both at NSE and Bombay Stock Exchange (BSE) for example and they have a large number of public interest directors and they have a huge reputation to maintain. If things are really bad, I do not think you would have attracted such talent on the board. Therefore, I am not overtly concerned about the disclosure that have been made but we will have to wait and look forward as to what action if any emanate out of this and what impact would it have on the exchange's functioning. Latha: You mentioned that although the IPO appears to be fully priced, there is still a lot of growth that we could see for the exchange sector as a whole and there is always a premium attached to some of the niche or some of these growth sectors. What kind of growth do you see over the next one-two years? Mehta: Unfortunately in India there is no copyright so far as the exchange products are concerned. If you apply to Sebi for a particular product, the other exchange is also free to use that product and market it to these brokers. So there is nothing like copyright so far as products are concerned, but what I see in horizon that a few areas of growth which are going to happen. One, international exchanges that we are talking about, the amount of business which is going abroad through setting up of these economic zones and give city and a similar thing is Mumbai also - the financial centres. We would expect growth to come in that area. The other is mobilisation of household savings which is a big area because we are staring at lower and lower interest rates and if government savings and bank savings' rate of interest is going to go down, there is no option but coming to capital market. So that's the second growth area and third, the debt market; it's time that government also has a major presence in the retail debt market because in the past as high as 6 percent of the government securities (Gsec) were held by retail but due to setting up of depositories and absence of interoperability between the PDO and the Central Depository Services (I) Limited (CDSL) and National Securities Depository Limited (NSDL), there is virtually no activity happening so far as retail debt is concerned. Therefore, these are major areas where business growth can happen and if industry does well, you can have more IPOs also coming through. So all in all the growth potential is there in several areas and the exchanges - be it NSE, BSE, they should be able to mobilise the investors and engage them into these various products and should show us a good growth so far as the exchange business is concerned.